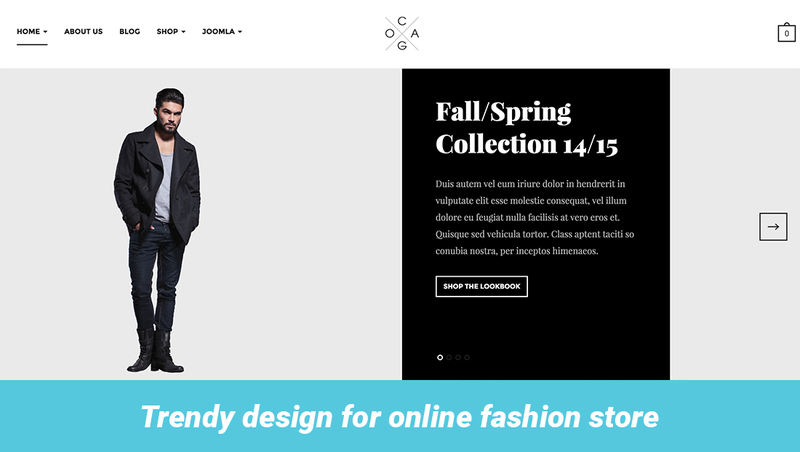 Developing a responsive Joomla template for online fashion store is surely a daunting task. Swimming in the flood of eCommerce solutions is also not a comfortable experience. In this eCommerce Joomla template, we have taken one step further to incorporate two eCommerce components into this one template: PayCart and VirtueMart. We have closely worked with the ReadyBytes team and they helped us integrate PayCart with JA Cagox. Hats off to the ReadyBytes team, we would love to do this again and again. Why JA Cagox is the perfect choice for your fashion online store? With help from the two eCommerce components and PayCart (commercial) and VirtueMart (free), JA Cagox is the one stop eCommerce solution for your online fashion store. Thanks to the team at ReadyBytes for helping us to make PayCart component available for JA Cagox, and also for the offer of 25% OFF on PayCart component for JA Cagox lovers, in the next seven (07) days. Just use the code PCCAGOX25 during checkout, and enjoy PayCart! The offer will expire on 27 March 2015. Building an online store is now easier than ever. You can benefit from one of the most popular Joomla template frameworks with friendly interface, and easy to use. T3 Framework will make all the complicated configurations piece of cake for even an amateur. JA Cagox with T3 Framework will ensure you the best template building experience. An online fashion store is not only about the products but also the connections with your customers. To maintain great engagement with your clientele, your content marketing play an important part of the process. JA Cagox helps simplifying the process by using just the Joomla core. You don't have to install another component for your blog endeavour. It's sweet and simple! Nowadays, we can't settle for anything less than a responsive template. Don't let the customers slip away with their mobiles. Cagox displays and functions gorgeously across multiple screen sizes and this is how we can serve our customers with good mobile commerce. In short, shopping on the go is a must-have feature. In JA Cagox version 1.0.1, we support RTL language layouts. RTL users deserve a better online store Joomla template. 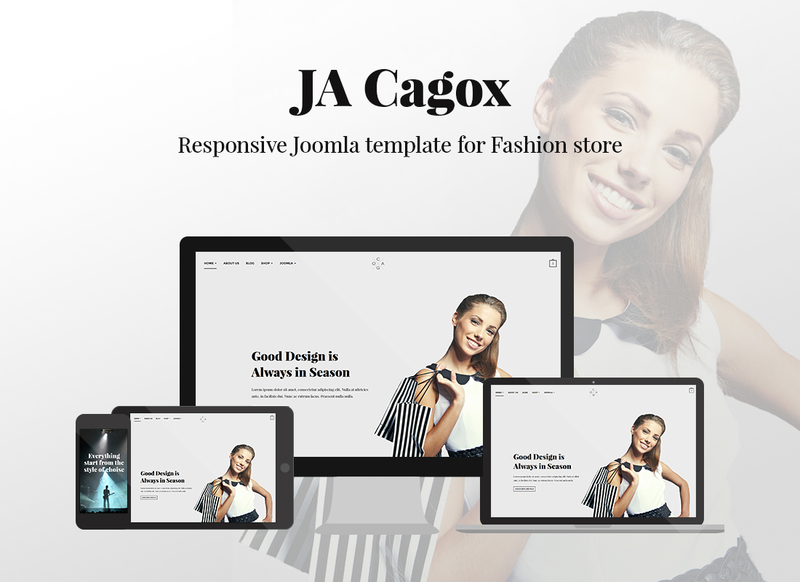 With clever design, three different homepages, classic black & white, and strong typography combination, JA Cagox will surely stand the test of time as an online shop and helping you promote your clothing business, as well as other fashionista's items and accessories.